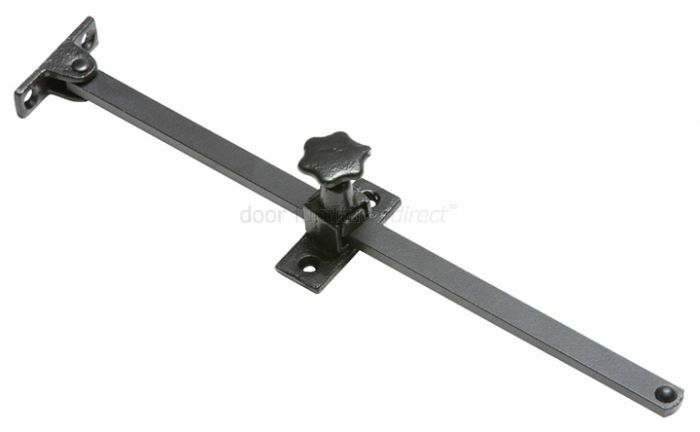 Black antique screw down window casement stay, measures 254mm. This casement stay is fixed to the bottom rail of the window. Stay is held in locked position by turning the screw until it is held tight against the stay.